Being a kdrama fan, I also opted to use products from Korea. Here's my first ever Skin Care review to publish. Haha. Segway... I'm easily attracted with pretty labels and neat packaging so they got me there! 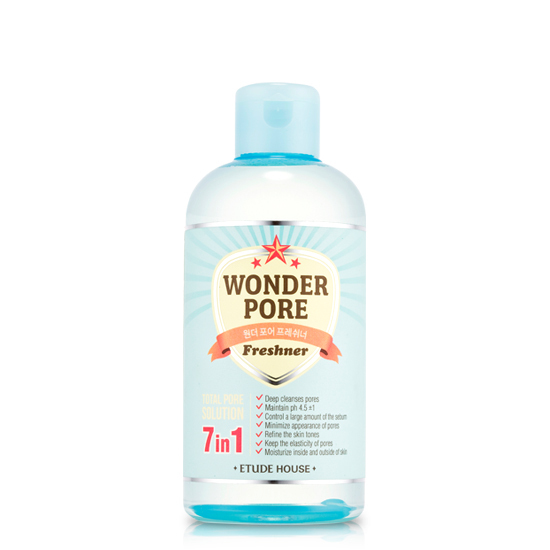 Next, great things may come in big packages, for the Wonder Pore Freshner, that's true. 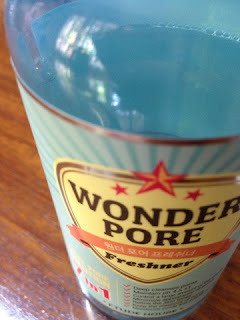 I use it everyday, walang mintis and I can prove that Etude House kept their promise on this product. No more oily skin for me. Hooray! ^^ No bias, I'm so happy I got this. It kept my skin hydrated without being oily. I believe it has a moisturizing effect as well. And YESSS, it makes your pores smaller. Haha! Apply with a cotton ball after washing your face in the morning and before going to bed. When you feel that your face is clean already, you may apply your daily rituals like moisturizers, creams, packs/masks and so on. True to its name, it's really a WONDER FRESHNER. No day is complete without this. 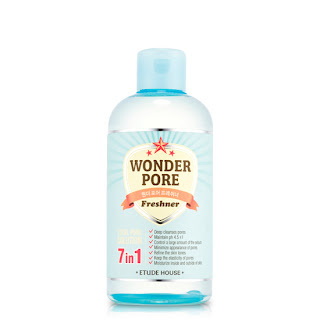 They also have other Wonder Pore products in store like mask, foam brush and other beauty regimens.